Garrick Higgo carded a five-under second-round 67 at Leopard Creek Golf Club to surge to the top of a packed leaderboard and set up an exciting third round at the African Amateur Stroke Play Championship on Tuesday. The Boland golfer moved to seven-under, courtesy of an almost flawless performance, but he will have to keep knocking in birdie putts on moving day to stave off the chasing pack. Overnight leader Jayden Schaper and Ludwig Aberg from Sweden are one off the pace, Scotsman Euan Walker is a further shot adrift, and Tom Plumb from England and South Africa’s top-ranked Wilco Nienaber sit ominously within three shots of the 36-hole target. Kartik Sharma from India is five off the pace after a 67, while South Africans Keelan van Wyk and Martin Vorster round out the top 10 alongside Gaelen Trew from England. Higgo rose to No 1 in South Africa with a top-seven finish at Leopard Creek two years ago, but slipped down the rankings during his season last year at the University of Nevada Las Vegas. Back on home soil and targeting a win on the African Swing series, he was cautiously optimistic about his chances at the regular Sunshine and European Tour stop. “I’m driving it well and keeping it in play, which is key to scoring around this course,” said Higgo. “I’ve only missed a handful of fairways and I’ve only had two bogeys in 36 holes. “The bogey at 17 was weird, because it ran right around the inside of the cup before it popped out. But I stayed patient, hit quality iron shots and made some good putts coming home. The best birdie of the day was at the eighth. I took the bunkers out of play with a hybrid, hit a quality 7-iron to the middle of the green and drained a 20-footer for birdie. Schaper overcame a bogey start at 10 with birdies at 13, 17 and 18 and two more gains coming home netted the Benoni golfer a 69 and a share of second with Aberg. The world number 90 made three birdies on the bounce from 11 and dropped his only shot of the day at the par-four fourth. The Swede finished with a brace of birdies to sign for 68. Walker also racked up a string of three birdies from the sixth, and a birdie finish for a five-under 67 netted the Kilmarnock Barassie golfer sole fourth on five-under. Plumb made a birdie-birdie start before he set the course alight with a run of five successive gains. The Englishman went through the turn on seven-under, but he hit a speed-bump with a bogey at the first and a double bogey at the third. He bounced back with birdies at five and nine for a 67 and a share of fifth with Nienaber. Meanwhile, Nienaber – at 74th in the world amateur golf rankings the highest-ranked player in the 90-plus international field – lived up to his billing as the odds-on favourite this week. The recent Gauteng North Open winner struggled in the opening round and posted 74, but he was back to his big-hitting best on Tuesday. The Bloemfontein golfer fired five birdies and eagled two par fives – 13 and 18 – for a six-under 66 that earned him the lowest round honour. The GolfRSA Juniors kept their title defence in the 54-hole team competition on track with a second-round total of 10-under 206. New cap Sam Simpson carded 68 and Schaper and Christo Lamprecht contributed rounds of 69 to move the team to nine-under. The defending champions will start Wednesday’s final round with a 10-shot cushion. 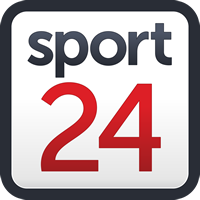 Meanwhile, Therion Nel (69), Luca Filippi (69) and Nienaber combined for 204 to join Sweden and England in second on one-over 433.